The 2019 SXSW Film Festival is almost upon us and we can’t wait to have you here! Before you make your way down to Austin, TX, get to know films from our lineup a little bit better with our Filmmaker In Focus series. Dive into our Q&A with director Jennifer Trainer as she tells us about her film Museum Town, which will make its world premiere in Documentary Feature Competition. Jennifer Trainer: It feels like the culmination of 33 years of life. 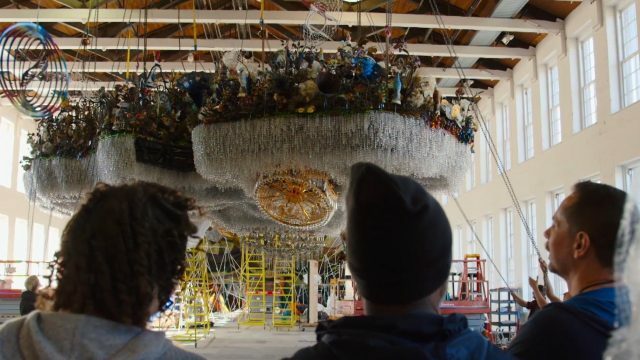 I began telling this story (when there was not much to tell) in 1985 when I wrote an article for The New York Times about a preposterous idea — to build a museum of contemporary art in a decaying mill town. I lived through that idea for the next three decades, and now I’m on the other side, telling the story from the inside out. It seeps from my pores. I keep thinking of my father. He worked in the copper mines of Arizona. He manufactured sawdust in a New England mill. He built boats. His path was oddball and seemingly circuitous, yet he felt that his work — big, broad, hard — pulled together in a life of creative endeavor. That’s how this film feels. JT: It feels rare to witness and be part of the beginnings of a big idea. Experiencing what it takes to will an institution like MASS MoCA into being — herculean effort, some luck, huge ambition — leaves a mark. But over the years, the story is often lost. A simpler, more romantic narrative evolves as key players die and are folded into the haze of history. And then there is the actual story, with all its layers and nuances. MASS MoCA landing in a small, defeated town like a planet from outer space — and in my lap — was a story I felt needed to be told, and I knew I was the one to tell it. JT: That risk is worth it. That art matters. That sometimes, if we are willing to take a leap and stand by it unwavering — sometimes we have a chance of creating something that potentially changes lives. That this is a story about reinvention for survival. That the mechanism for survival is culture. That it’s not perfect. That it was so unlikely. This is what happened in this one place, and it can happen anywhere else. JT: SXSW is a great fit. The film is about innovation and individuality. It’s also about music — I wanted to make a film with a great soundtrack that I’d listen to over and over. No other place is like SXSW. Add Museum Town to your SXSW Schedule. Stay tuned in the coming weeks as we share more interviews with our SXSW 2019 filmmakers!